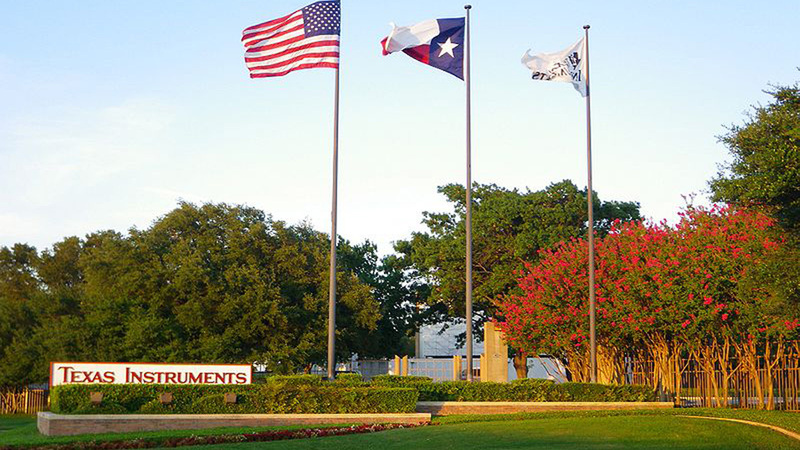 In 1955 Texas Instruments purchased 250 acres bordering both Dallas and Richardson, Texas, for a corporate campus. The site was traversed by a creek and contained groves of oak trees, and gently rolling topography. The architecture firm of O’Neil Ford and Richard Colley won a limited competition for the first structure on the site, the Semiconductor Building. Collaborating with Dallas landscape architects Arthur and Marie Berger, their scheme carefully integrated the corporate headquarters with the landscape. Open courtyards containing native oaks were nestled into the buildings, providing natural light, contact with nature and multiple points of orientation. Deep colonnades allowed employees to move from building to building, shaded from the hot Texas sun. This general scheme was repeated later in the Ford/Berger collaboration at the Science and Math quadrangle at St. Mark’s School in Dallas. Texas Instruments CEO Patrick Haggerty, for whom the Bergers also designed a residential garden, achieved his goal of a creating a collegial work environment in an artful way to raise the spirits of everyone who enters the space. Until Arthur Berger’s death in 1960, the Bergers collaborated with Ford on other additions to the campus. Subsequently, San Antonio landscape architect Stewart E. King took on projects for the Texas Instruments campus.